History was put on hold for a little while Monday night at BPCC. A near-capacity crowd of about 1,000 waited about an hour for the start of the first women’s basketball game in school history. The crowd remained patient and was eventually rewarded with a 70-35 BPCC victory over the East Texas Flight, a club team from Tyler, Texas. Before the East Texas club arrived, the Lady Cavs had a short intra-squad scrimmage. The band played and the Airline cheerleaders also performed. 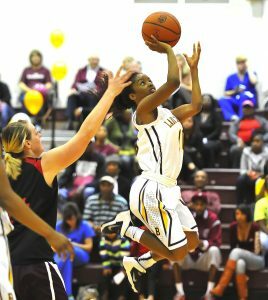 The Bossier Parish Lady Cavs defeated the East Texas Flight 70-35 in the first women’s basktball game in school history Monday night. Because of the wait, BPCC officials offered a free ticket to a future home game to anyone who wanted one. “It was obviously frustrating just sitting around waiting,” BPCC coach John Rennie said. “But our crowd was amazing. I don’t think anybody left. Some were waiting for two hours. The Flight were delayed by some rough weather in East Texas. Once they arrived, they were a bit short-handed. With a little help from BPCC, they were able to dress out six players. The game was shortened to 30 minutes with no half. The Lady Cavs had little trouble, rolling to a 19-3 lead. By the time the game reached the halfway mark, they led by 30. 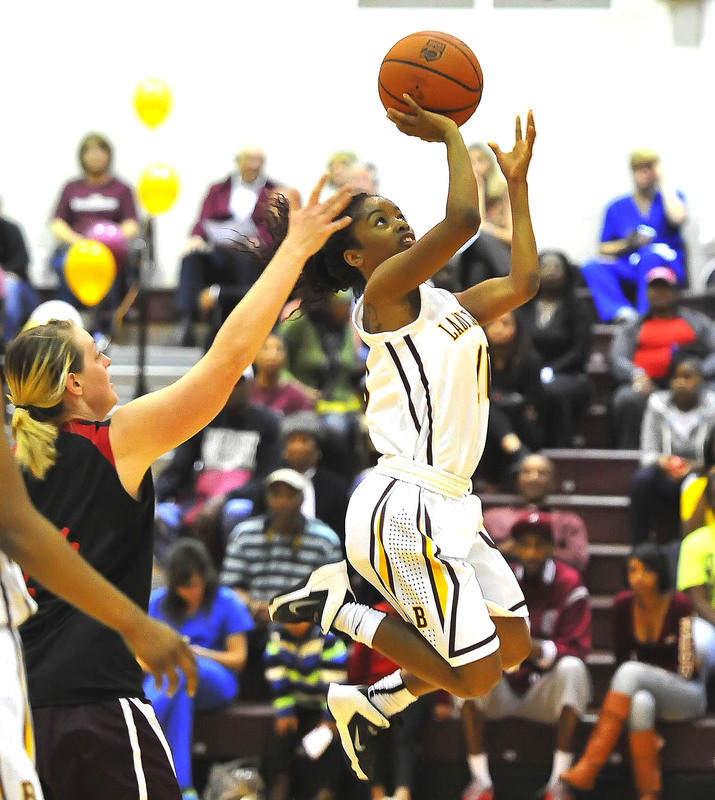 Andreanna Jackson, a 5-9 freshman from Rayville, led BPCC with 20 points. Jessica Ellis, a 5-1 guard from Southwood, added 11. Ellis was the Outstanding Player on the Class 5A All-State team last season. “One thing that kind of surprised me is that we haven’t been shooting the ball well,” Rennie said. “But we had some girls step up and knock down some outside shots. That was really nice, especially just hitting the 3-pointers the way we did. The Lady Cavs return to action Friday against the Oklahoma Baptist University JV in the Eastern Oklahoma State Classic at 6 p.m. in Wilburton, Okla.
BPCC faces Eastern Oklahoma State at 2 p.m. Saturday.